To obtain a general understanding of science, model use as part of National Education Standards is important for instruction. Model use can be characterized by three aspects: (1) the characteristics of the model, (2) the integration of the model into instruction, and (3) the use of models to foster scientific reasoning. However, there were no empirical results describing the implementation of National Education Standards in science instruction concerning the use of models. Therefore, the present study investigated the implementation of different aspects of model use in German biology instruction. Two biology lessons on the topic neurobiology in grade nine of 32 biology teachers were videotaped (N = 64 videos). These lessons were analysed using an event-based coding manual according to three aspects of model described above. Rasch analysis of the coded categories was conducted and showed reliable measurement. In the first analysis, we identified 68 lessons where a total of 112 different models were used. The in-depth analysis showed that special aspects of an elaborate model use according to several categories of scientific reasoning were rarely implemented in biology instruction. A critical reflection of the used model (N = 25 models; 22.3%) and models to demonstrate scientific reasoning (N = 26 models; 23.2%) were seldom observed. Our findings suggest that pre-service biology teacher education and professional development initiatives in Germany have to focus on both aspects. This research was supported by grants (no. 01JH0904) from the German Federal Ministry of Education and Research (BMBF). We are grateful to the German Federal Ministry of Education and Research for supporting our study. Förtsch, C., Werner, S., Dorfner, T., von Kotzebue, L., & Neuhaus, B. J. (2016a). Effects of cognitive activation in biology lessons on students’ situational interest and achievement. Research in Science Education. doi: 10.1007/s11165-016-9517-y. Linacre, J. M. (2012). A user’s guide to Winsteps/Ministep: Rasch-model computer programs. Retrieved from http://www.winsteps.com/a/winsteps.pdf. Van Driel, J. H., & Verloop, N. (1999). Teachers’ knowledge of models and modelling in science. International Journal of Science Education, 21(11), 1141–1153. doi: 10.1080/095006999290110. Wadouh, J., Liu, N., Sandmann, A., & Neuhaus, B. J. (2014). 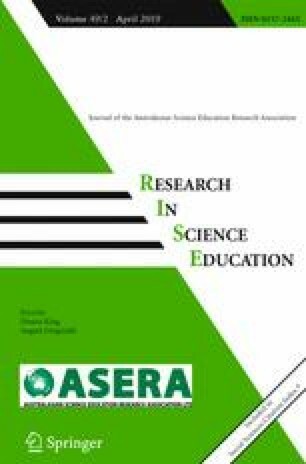 The effect of knowledge linking levels in biology lessons upon students’ knowledge structure. International Journal of Science and Mathematics Education, 12(1). doi: 10.1007/s10763-012-9390-8.